Whether you are an online trader or have a simple brochure website then the good news is that, generally speaking, more traffic means more enquiries and sales. A great way of increasing hits on a slim budget is to take a close look at your search engine rankings to see if they can be improved. SEO can be expensive in terms of time (if you do it yourself) or money (if you pay someone else to do it), so it’s well worth having a basic understanding of the ground rules. You will be relieved to hear it’s not rocket science. 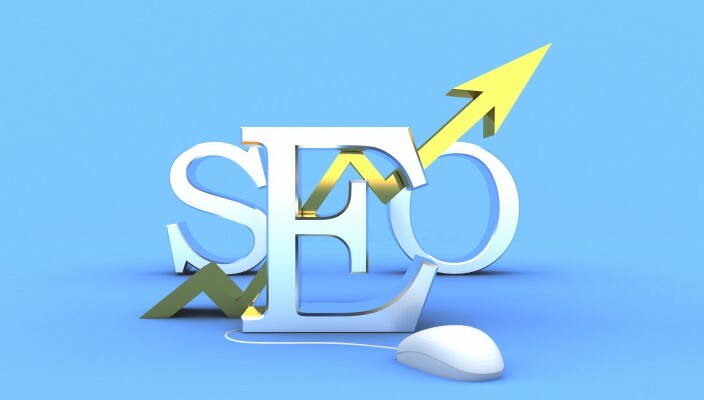 The two most important aspects of SEO are keywords in your copy and inbound links. 1 – Keywords and phrases are what your customers are typing into search engines, so think about what they are likely to be searching for. Take your time selecting these keywords and make sure they are not over used and stuffed into sentences un-necessarily. Try looking at your highest-ranking competitors to see what they’ve done. You should avoid simplistic, generic terms such as “shoes” or “jewellery”. Instead, optimise your pages for longer phrases, e.g. “high heeled party shoes” or “designer platinum wedding rings”. There will be many sites in your sector using similar keywords so think outside the box. Having picked your keywords for each page, weave them into the product descriptions in a natural way, and use several times if possible. 2 – Inbound links to your site are like endorsements in the eyes of search engines. You can create them by posting comments on blog sites and sometimes even on supplier sites. However, be careful that those linking to you are reputable, with good content. A link from a bad source could actually count against you. Inbound links are the most important part of SEO, but it is quality over quantity. You can also have link exchanges with suppliers. E.g. a jeweller might pair up with a wedding organiser, and can have links to each other sites. 3 – Be original! Make sure that your content is original, relevant and includes your keywords. Interesting content will encourage your customers to interact more with your site. Duplicate material is penalised by search engines, and you will naturally slip down the rankings. 4 – Fast track to the top. Search engines also take into consideration the speed of your site so make sure you use a quality hosting service located within your target country. For example, if your target market is in the UK, its best to go for a UK-based hosting provider to get the best results. You can also use Google Analytics to see what your most popular pages are and when visitors leave your website, it tells you at which point. Remember to set up goals to see your conversion rates between browsers and buyers. The SEO rules are always changing, and keeping on top of them can be difficult. There’s no time like the present to start learning about SEO and getting your site ranked higher before it’s too late.